Omni Financial® is a leader in the military lending market and is one of the most recognized and trusted military loan companies in the country. Omni differs from other military lenders because we have offices at most military installations across the United States. Omni also makes military loans available to service members worldwide via our website 24/7. Omni Military Loans® is a consumer finance company – NOT A PAYDAY LOAN COMPANY. We make traditional consumer loans ranging in amounts from $500 to $10,000 with loan repayment terms from 6 to 36 months. When you work with us, you are working with one of the most highly respected military loan companies in the world. Our employees are military lending experts. We work with you to find the loan and repayment schedule you can best afford. Unlike other military loan companies, we evaluate all of your individual facts and circumstances to try to get the amount of money and financing that you need with a monthly payment that you can afford. If you have a good credit track record we’ll be able to offer you a better rate. If your credit has been challenged in the past, you shouldn’t worry… we’ve seen that before and we’ll still work with you to help you get the funds you need. All our loans are 100% guaranteed. If you are not completely satisfied with your loan or our service, or you simply change your mind about borrowing funds, you can cancel the transaction within 15 days – no questions asked and at no cost to you. Most of the loan specialists evaluating your loan application are former military personnel. We’ve been in your shoes and understand the demands of military life and the importance of fast, convenient online loans. If you have any questions about our military lending solutions, you’ll discover that we’re friendly, we want to help and we will treat you with respect. Omni Financial® was founded in 1970 by World War II veteran, Army Staff Sergeant Fred Nives. At the end of the war, while stationed in France, Fred tried to get a loan – and was denied. The reason? The bank said he was only a young serviceman with no credit experience. Because of that denial, Fred vowed that one day he’d start a company that would help people like him – people like you – obtain personal loans. In 1950, he made good on his vow and opened his first military-only lending company. This company, American Finance Company would later set the stage for Omni Financial – serving America’s Armed Forces around the globe. Although Fred Nives is no longer with us, his legacy of helping the military lives on. The Omni Military Loans® group of military loan companies has lent money to hundreds of thousands of U.S. service members who needed money – just like he did back in 1945. While Omni Financial traces its history back over 65 years ago to 1950 when World War II veteran Fred Nives started his first military lending business, our commitment to help active duty and career retired United States military service members make their lives better extended to establishing a web presence which was launched in 2001. Originally established as militaryloans.com®, we were one of the first military lenders to offer armed forces loans online. 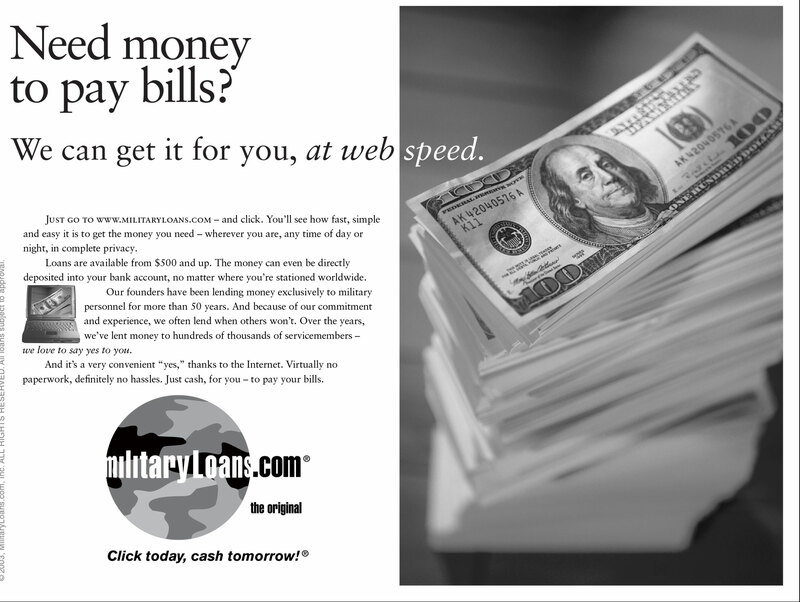 Militaryloans.com® became an extension of the first-class service we offered military personnel at our branch locations serving many military installations worldwide. Through militaryloans.com®, service members could learn more about Omni’s services and apply for a loan without having to actually travel to an Omni office. The website offered an unprecedented level of convenience to service members, especially those who were deployed. This legacy of service continues today. Omni Financial has been a pioneer in the online military lending industry, while still providing personal face-to-face service at our offices. We pride ourselves on providing just military loans throughout our history and being able to meet the needs of service members throughout the world, as well as those living in our local communities. Your Omni Financial offices serving military installations around the world have been central to the development of our legacy of service to help our military community every step of the way. With a focus to get you back on track and on your way to a more secure financial future.